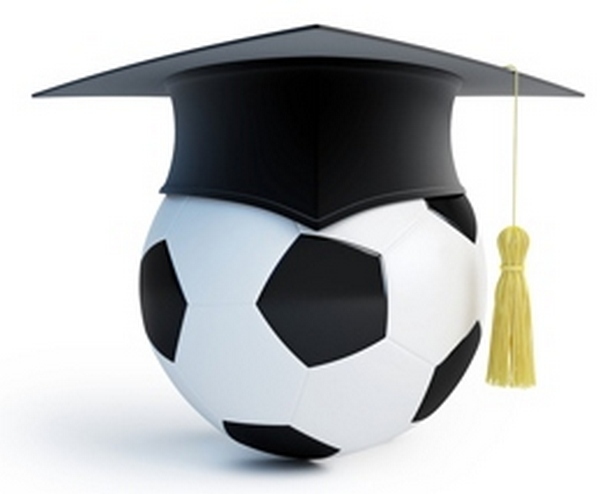 Soccer Scholarships - How Many Are Given Each Year? Playing soccer in college and potentially receiving an athletic scholarship for soccer is something to consider. Having the ability to play sport in college is a once in a lifetime opportunity that you will remember for the rest of your life. What is a soccer scholarship? A scholarship is a financial contribution paid by an institution to an athlete to compete in their designed athletic program. Scholarships are awarded to athletes based on their skill level. However, soccer is a bit different from sports like football and basketball who have the possibility to offer full scholarships to every single player. Soccer is defined as an “equivalency sport,” which means that all scholarships are not necessarily full tuition scholarships. Coaches have the right to divide the total number of scholarships allowed to them between as many athletes as they decide to (see table below for exact numbers of scholarships allowed per schools and divisions). This can easily get confusing so let’s use an easy example to start with. Let’s say that a teacher has 20 students in her classroom and is distributing candy for the last day of class. However, she only brought 10 of pieces of candy. She now has a choice to make. She could either give 1 full chocolate bar to her 10 best students or give half of a bar to each of her students. The same goes for a scholarship. For example, if a NAIA school with 24 male athletes can award only 12 full scholarships. The coach has the choice to give a full scholarship to 12 players and 0 athletic scholarships to the other 12, or give ½ equivalent scholarship to each player. In 2016-17, there were 450,234 male and 388,339 female high school soccer players in the United States. However, only 9.6% of females and 7.9% of males made it to compete at any collegiate level. Despite this apparent low percentage, there are still over 70,000 collegiate soccer players, and numerous scholarships still highly available. The challenge is to find the right fit for you. *NCAA Division 3 schools do not offer athletic scholarships, but other forms of financial aid. Timing: When Do Most Schools Give Out Offers? Offers may differ from school to school, and coach to coach. Some coaches like to be early and start setting up their future roster a couple years in advance, while some others wait until the last minute, and some do it slowly, but surely. Every coach has his/her own way of recruiting. In 2016-17, there were 450,234 male and 388,339 female high school players in the United States. So do you think that a coach will be able to see all these players over the course of one single academic year? It is safe to say that the answer is NO. That means that you as the player are the one who needs to be proactive and make sure that you are seen. It is never too early to start looking at schools that you would like to attend. During your high school years, start building your own portfolio. Record your games, create a personal highlight video that you can send and showcase to coaches that could possibly be interested. As mentioned above, if a coach is interested in your profile early, you need to be ready. By the end of your sophomore year, you should have a clear idea of schools you are really interested and that are interested in you, and already be in contact with the head coach in order to start the recruiting process. NCAA Division 1 scholarships are often the scholarships that are given out first, followed by D2 and NAIA and NJCAA. The reason being that if a coach is extremely interested and fully believes that you could be the perfect fit for his/her team, he will try to recruit you before other coaches get the opportunity to. D1 scholarships are usually, for the most part, offered pretty early in the players high school years. By the end of your junior year, if you haven’t received an offer already, you should have a pretty strong idea of where you stand at within the map of the recruiting process. However, do not panic if you have not received an offer by this time. It is almost never too late. Coaches are always looking to perfect their rosters. If you truly have the potential to play at the highest level and earn a scholarship, chances are that you are most likely going to. As mentioned earlier, each coach has his/her own way of recruiting and running his/her program. So the timeline given above is just a general idea of one. How are Scholarship Offers Given Out? As previously stated, each coach does things differently and has their own preferences on how to give out scholarships. Once you have established contact with the head coach via email, if interested, he will most likely call you in order to build a relationship with you and learn more about you. Remember, a coach is looking at every single aspect of your character. Your soccer skills are not all a coach is looking for! He/She wants to know if you will be a good fit within the program and with the other players on the team. They want to know if you’ll be invested in school, will you attend classes, be serious and hardworking? Most a coaches, if interested in recruiting you, will offer you to come on campus for an official visit. Then, they will give you a phone call and offer you the scholarship you have been looking for and maybe dreaming of. It’s never too early to start reaching out to coaches! Give it a go, and maybe your dreams will come true. 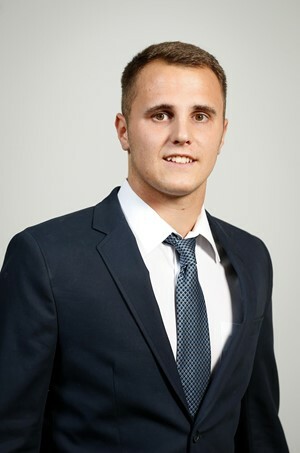 Matthieu Braem, a product of Le Havre FC (France), is a central defender an assistant coach for Baron County Community College. His first stop in North American playing career was with Iowa Western Community College, where he captured the 2013 National Championships and ended his career with an overall record of 48-0-2. Braem has spent the past two seasons at Loyola University Chicago, helping the Ramblers break into the top 25 in 2016. Braem has experience in both the PDL & NPSL. In 2014 with Laredo Heat (PDL), 2015 with GPS Portland (PDL) and in 2016 he was the Defender of the Year for AFC Ann Arbor of the NPSL.